Wrinkles are clearly a by-product of the aging process combined with sun damage. Well… I’m not sure I want to live my past every time I look in the mirror. I prefer to live in the present with healthy, beautiful and happy skin! One of the most famous fashion designers of all time was the first to bring to light the topic of wrinkles and aging. Coco Chanel stated that “nature gives you the face you have at twenty. Life shapes the face you have at thirty. But at fifty you get the face you deserve”. The idea behind this quote is that how we live, including our life choices, is responsible for the overall appearance of our face. Is this true? Well, let’s say partially. In the following article, we will review what science has to say about wrinkles. 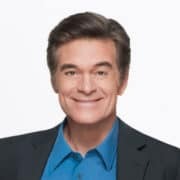 Wrinkles are a natural part of the aging process, but if we look a bit deeper we can see that some people have more prominent wrinkles on their face compared to those who, at the same age, appear much younger. There are several reasons behind this aging skin phenomenon. One of the most important factors that shape our facial contour is our genetic inheritance. Genes determine many aspects of our appearance including our hair color, eye color, facial symmetries – the list is quite long actually. Genetics are something we can not change or control. We inherit many of our skin qualities from our parents and this was why Coco Chanel was only partially right. The characteristics of our facial muscles are also something that we inherit. 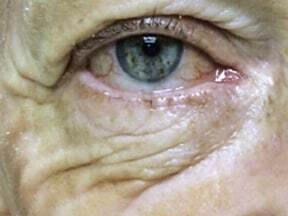 If we have strong muscles between our eyebrows or around our lips, we tend to develop wrinkles earlier in life compared to people with more delicate muscle fibers. Genetics is something that is out of our control, but we can influence all the other factors that can cause wrinkles on the face. Let’s start with the sun. The ultraviolet part of the light spectrum is one of the main reasons for wrinkles and aging skin. Exposing the skin to the sun may produce an attractive tan, but in turn, it increases the aging process making our skin appear older and more wrinkled. Damage to the skin induced by sun exposure is called photoaging in the expert community. What can be expected following prolonged and repeated sun exposure is the development of fine and coarse wrinkles on the forehead, neck, under the eyes, around the lips and other areas of the face. Sun exposure also causes pigmentations such as age spots and sunspots and reduced elasticity of the skin. Exposure to the sun is also a common cause of melasma. The severity of skin damage caused by sun exposure depends on a number of factors. For example, white skin is more prone to photoaging compared to dark skin. 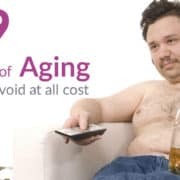 Men and older people are also at an increased risk for photoaging. Environmental factors are another cause of wrinkles and also speed up the aging process. Living at a higher altitude may pose a greater risk of photoaging than living at sea level. The good news is that there are ways to protect our skin from prolonged sun exposure. Using sunscreen, wearing sunglasses and hats, as well as exposing the skin to the sun early in the mornings when the ultraviolet index is low will help to prevent wrinkles and will pay off in the long run. Another cause of wrinkles and a threat to our facial appearance is cigarette smoke. Smoking damages the skin for several reasons. Nicotine from the cigarette smoke impairs blood flow to the facial skin, which directly leads to poor skin nutrition. 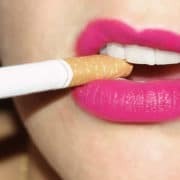 It has been recognized that tobacco smoke damages collagen fibers responsible for skin elasticity. The result of smoking will, therefore, be a more wrinkled and saggy skin appearance. 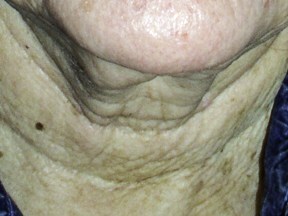 Many smokers develop deep wrinkles around the lips. If you would like to prevent wrinkles and keep your skin healthy and youthful, you will have to give up smoking. Air pollutants are also found to be a common cause of wrinkles on the face. Both indoor and outdoor pollutants including lead, industry and car exhaust are tightly linked with increased aging and the development of wrinkles. Try to spend more time in nature, away from urban areas. This will help you relax, protect your skin from aging and help to prevent wrinkles. Beauty is quite a complex matter. A healthy, youthful, wrinkle free appearance depends on how we treat our facial skin. Nowadays, there are a number of wrinkle removing treatments available to help protect the skin from further damage, improve the quality of the skin and reduce the effects of the aging process. It is important to emphasize that improving the skins overall health results in a younger, more radiant appearance. Here are some of the treatments available that may reduce or completely get rid of wrinkles. Retinoids represent one of the most effective medical treatments to get rid of wrinkles as well as other signs of aging skin. 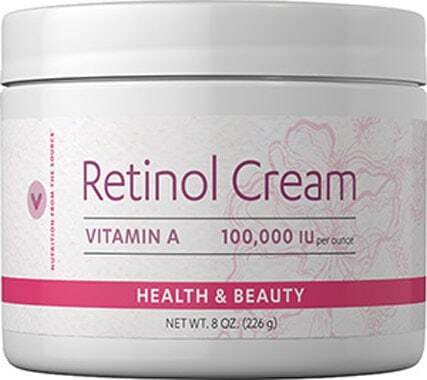 They are synthetic compounds related to vitamin A (retinol). Use of retinoids may successfully eliminate or decrease pigmentation such as age spots and sunspots, improve skin roughness and soften the appearance of wrinkles on the face. Antioxidants applied topically through a cream are shown to soften the appearance of wrinkles on the face. 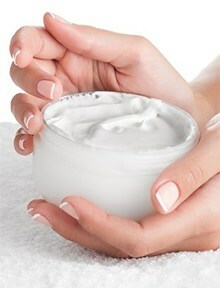 Antioxidant wrinkle removing creams that provide the best effects contain vitamins A, C, and E as well as beta-carotene. 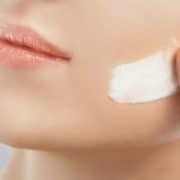 Many plant extracts with antioxidative effects are being developed into wrinkle removing creams by the cosmetics industry. However, the effectiveness and safety of these creams have not been evaluated by rigorous clinical trials. Chemical peels are a group of compounds that induce the abrasion of the superficial layers of the skin, thereby increasing the production of collagen fibers and reducing skin pigmentation. Increased collagen production leads directly to the reduction of wrinkles and also tightens the facial skin. Microdermabrasion is a non-surgical technique that involves abrasion of the superficial and mid layers of the skin by a trained professional. Microdermabrasion can make a visible difference in your facial appearance, reducing skin imperfections including scars, pigmentation, and wrinkles. 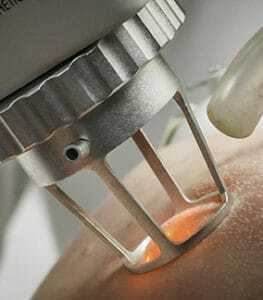 Laser treatment is by far the most effective treatment for stimulating the production of new, healthy collagen. Laser treatment for wrinkles offers fewer side effects and a shorter recovery time compared to other wrinkle removing treatments on this list. There are many different types of laser treatments to address the many different signs of aging, therefore, consultation with an expert is required to tailor the most effective treatment for your specific aging issue. Plastic surgery is an effective treatment modality to fight wrinkles. 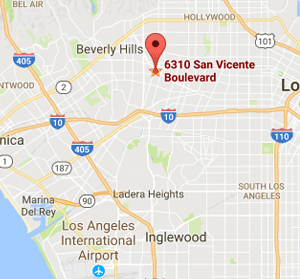 The facelift procedure is one of the most popular plastic surgery procedures to reverse the signs of aging. Consult with a plastic surgeon to determine which surgical procedure would be the most appropriate for you based on your skin condition and your expectations. Ultrasound therapy has been recently approved by the FDA for the treatment of wrinkles. It is a non-invasive and safe treatment modality that may help to reduce wrinkles on the face, neck, chin, forehead and decollete area. Dermal Fillers are made to replace lost volume and reduce wrinkles on the face and other areas that were caused by loss of volume and loss of elasticity due to aging. Dermal fillers directly increase facial volume and subsequently reduce the intensity or completely eliminate facial lines and wrinkles. Injectable botulinum toxin provides relaxation of facial muscles and subsequently reduces the appearance of facial lines and wrinkles. Botox treatment is very effective. However, this treatment is temporary and needs to be repeated every several months. Severely damaged collagen is targeted in order to accelerate its removal by your body’s own natural processes. Fibroblasts (cells that create collagen) throughout your dermis are targeted, stimulating them to produce amplified quantities of new young collagen, resulting in physiologically more active, younger and healthier skin that looks and feels marvelous. Wrinkles are a natural part of the aging process and therefore cannot be completely prevented. However, the formation of wrinkles to to the aging process and other factors can be significantly delayed. There are many preventative measures and skin care treatments we can do to help prevent wrinkles. As we previously discussed, we can’t change our genetics, but what we can change is how we take care of our skin. Avoiding prolonged sun exposure, use of sunscreen and sunglasses, better nutrition habits and regularly consulting with your skin care expert will help keep your skin healthy and youthful, which will directly improve the appearance of your face and help to prevent wrinkles. Our body and its organs rejuvenate most rapidly between the hours of 1 a.m. and 4 a.m. That’s why your nighttime skin care regime is so important to preventing wrinkles, as this is when your skin best absorbs all of the good stuff while it is resting. 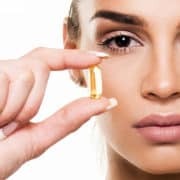 Below are five powerful anti-aging, wrinkle removing ingredients: retinol, antioxidants, hyaluronic acid, gamma- aminobutyric acid, and melatonin. I would add two others to this list: alpha hydroxy acids and alpha lipoc acid. Alpha hydroxy acids (AHAs) include the family of glycolic acid (plant sugars), lactic acid (sour milk), malic acid (apples), mandelic acid (bitter almonds), tartaric acid (grapes), and citric acid (citrus). 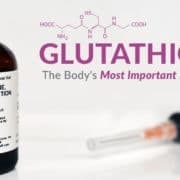 At the cellular level, these six acids all function in a unique way by dissolving the glycoprotein adhesive and desmosomes that bond together keratinocytes and corneocytes. In other words, these acids contribute to the “desquamation” or shedding of cells necessary for skin renewal. Medical research indicates that this loosening of the outermost layer of the epidermis (the stratum corneum), increases the rate of cell division. The related increase in collagen and elastin improves skin tone and reduces the depth of wrinkles by strengthening the skin’s basic matrix. Alpha lipoic acid (ALA) is a vitamin-like universal antioxidant. It is a great scavenger of free radicals and repairs damaged skin tissue by increasing energy production and cell metabolism to retard the skin’s natural aging process. Personally, I like to combine ALA and DMAE to boost the antioxidant effects and to help stabilize the skin’s membranes.